Please call boat owner John at 480-807-eight zero five two. This classic Sea Ray has twin 260 HP Mercruiser engines, AC – Heat, full bathroom, full galley and sleeps four comfortably. It has a two burner alcohol – electric stove, and microwave, as well as a VHF radio, depth sounder, TV – BluRay and a stereo system. 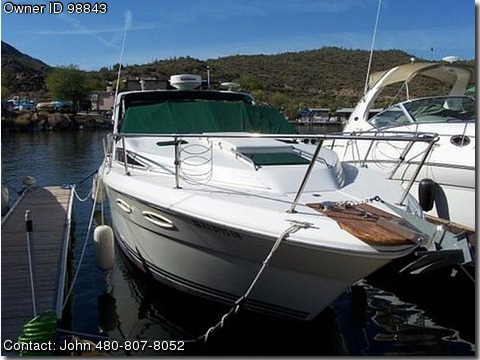 This really nice vessel is slipped in Saguaro Lake Marina so Call 480-807-8052 for an appointment to see it.